AS FOUND: Ptolemaic Kingdom. 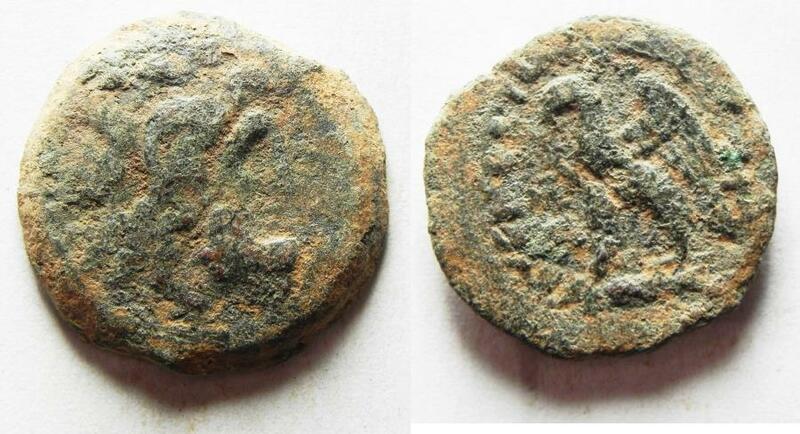 Ptolemy VIII Euergetes II (Physcon). Second reign, 145-116 B.C. Æ. Cyrene.